For Silicon Valley philanthropist ITER is "the only way"
Star struck | For Silicon Valley philanthropist ITER is "the only way"
One is planning to send tiny spacecrafts to the nearest stellar system; the other aims to bring the power of the stars to Earth. Yuri Milner, Russian-born entrepreneur turned Silicon Valley philanthropist and the ITER Project obviously have a lot in common: a vision for mankind's future, a capacity to invest in a long-term scientific and technological venture and, above all, the determination, against all odds, to pursue a dream that can alter the course of history. Web billionaire Yuri Milner sees himself as a ''child of the space age.'' He was born the year Yuri Gagarin completed the first Earth orbit and owes his first name to that smiling and ever-youthful Russian cosmonaut. As a coincidence, Milner visited ITER on 12 April, the day that commemorates Gagarin's flight and that the United Nations has declared International Day of Human Space Flight. 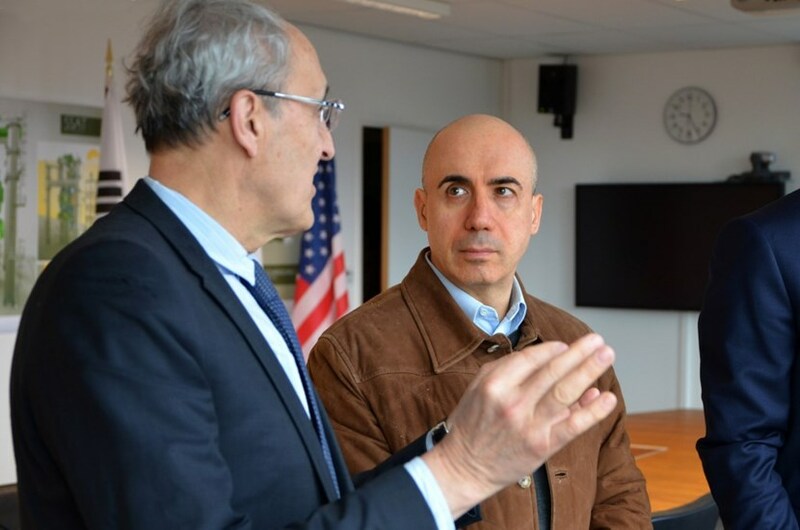 Last Thursday, on his way back to California, Yuri Milner made a stop at ITER. "I knew that something amazing was happening here. I wanted to see it with my own eyes." Before "being fortunate enough to make investments that paid off," the 57-year-old web billionaire was a theoretical physicist and, as a PhD student in Moscow, worked under and befriended Andrei Sakharov, one of the pioneers of thermonuclear fusion research. "Physics," Milner confides, "has remained my passion and my hobby." In Silicon Valley, there is probably more talk about the startups that claim they will deliver fusion-generated power in five years, or develop truck-size fusion reactors, than there is of the international megaproject ITER. But Milner, a practical man, wanted to know more and peppered ITER Director-General Bernard Bigot with questions. Are the claims of the startups credible? Is their funding sufficient? Have all the challenges been taken into consideration? The worksite tour, with stops at the Cryostat Workshop, the Poloidal Field Coils Winding Facility, the Assembly Hall and the Tokamak Building, provided obvious answers: harnessing the power of the stars is a huge undertaking, one that requires massive buildings, massive funding and a considerable workforce. "The scale is much bigger than what I initially thought; the complexity is overwhelming and the engineering challenges are unprecedented," reflected Milner as he sat in the ITER cafeteria for an informal interview with Newsline. "Until today I hadn't understood the necessity of the international collaboration. Clearly, from what I just saw, this is the only way it can happen. This is the ultimate place ..."
The Breakthrough Starshot initiative, which Milner developed with the late Stephen Hawking, and the quest for fusion energy are approximately on the same timeline. His microprobes should beam back images of the Proxima Centauri system at about the time fusion-generated power will be industrially available. 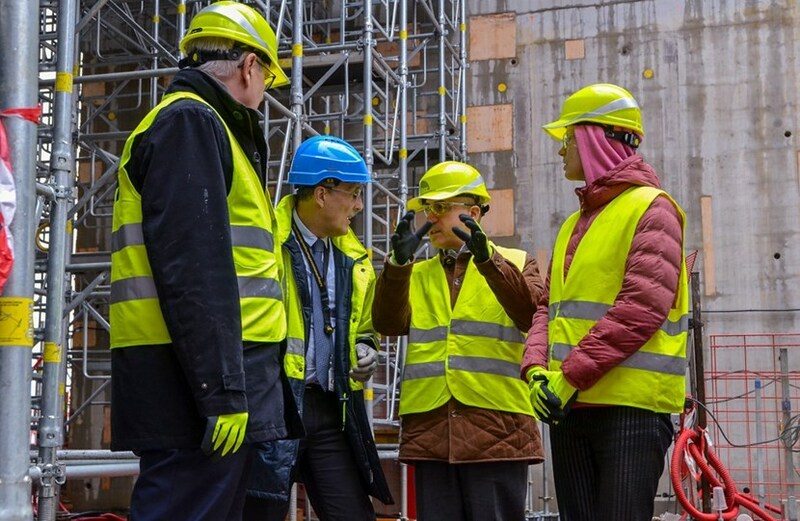 From left to right: Philippe Varin, President of the French energy giant Areva (now Orano) who participated in the worksite visit; ITER Director-General Bernard Bigot; Yuri Milner and his wife Julia. Milner's most spectacular project and the fusion quest are approximately on the same timeline: the Breakthrough Starshot initiative that he developed with the late Stephen Hawking aims to send hundreds of lightsail-propelled microprobes to the Proxima Centauri system, 4.37 light years (40 trillion kilometres) distant. Milner has invested USD 1 million of his own money to fund 15 to 20 years of the R&D necessary to the project. Facebook's Mark Zuckerberg, Google's Sergei Brin, and a few other Silicon Valley luminaries have now joined him in this awe-inspiring interstellar venture. At one-fifth of the speed of light, the tiny armada could reach the vicinity of Proxima Centauri triple-star system in about twenty years—as compared to 20,000 to 50,000 for a conventional probe —and beam back images of the stars' orbiting planets ... images, Milner says, that will be sufficiently detailed to make out continents. By the time these images reach Earth, opening new perspectives on the probability of extraterrestrial life or on mankind's future migration to another habitable planet, the electrical grid will have begun delivering fusion-generated power. Pursuing fusion energy, like exploring distant star systems, "is building the cathedrals of the 21st century," says Milner. It is not merely a matter of time. It is a matter of faith.